If you’ve missed my previous posts on Ascension, you may want start at the beginning of this Ascension Series. Last time, I introduced the first plane of existence and how we’re connected to this planetary being we call Mother Earth or Gaia. Our human meat-and-bone bodies attune to this first dimension of consciousness to understand our primal nature of survival, safety and sense of security. Today, we’re going to look at the second dimension, which is the consciousness level between the core of the planet and the surface OR the layer between Mother Earth and humanity. Remember, each layer is a dimension of consciousness, and each dimension has a life form or an EMBODIMENT of that consciousness who acts as its keeper, guardian or caretaker. So when we think about who holds space between the core of the Earth and humanity, we naturally think of the Elemental Kingdom. This includes, but is not limited to, the forces of nature, the telluric beings, the elementals, nature spirits, faeries, imps, goblins and gremlins. To make Earth habitable for human beings, a tremendous amount of work was done by the Elemental Kingdom and Nature Devas who built the oceans, mountains, lakes, rivers, etc. The Elementals are God’s creation that fall under the four elements of Earth, Water, Air and Fire. Elementals working under the Earth category are known as Gnomes. Elementals under the Water category are known as Undines. Elementals under the Air category are known as Sylphs. Elementals under the Fire category are known as Salamanders. Spend a minute looking through Google images to get an idea of what these magical creatures could look like if they were in our 3-D world. Be Careful – Humans Can Easily EMPATH This Realm! The vibration of the second plane holds a very magical energy, and the problem with the human experience is that most of us shut ourselves off to the concept of “magic” at a very young age. We’re told that magic basically does not exist beyond the world of Disney and we allow ourselves to then logically disconnect from it. Unlike Peter Pan, we choose to grow up and become adults, some of us at a very young age, ultimately losing the connection to this powerful realm, AND the JOY that goes with it. Despite our disconnection, the vibrational energies within this realm continue to be very powerful. The plants, animals and elemental kingdom continue to hold all the love, joy and magic within the collective—but they also hold all the fear, anger and sadness. Our human meat-and-bone bodies unknowingly EMPATH these vibrations daily. If we don’t have an awareness of our aura and its protective bubble of discernment, we’re not able to determine a negative vibration within this realm if we encounter it and empath it. We most likely take it in our fields and then own it. For example, many people “sense, know and feel” the sadness of the animal kingdom when it comes to how we treat them as a food product. Our bodies can feel the fear that they feel as they are enslaved in horrible conditions and lead into slaughter in the name of food production for the masses. We empathically transfer that fear into our systems from the collective elemental consciousness and, additionally, through the ingestion of the actual animal food product itself. Then, we ultimately become that fear. Many human bodies feel the sadness of the aquatic animals, the fish, the dolphins, the whales. Many feel the fear of the chickens, the cows, or the domestic animals. Many feel the trees as they are continually being mowed down to allow for construction of urban and rural development. Whether we comprehend it or not, our human meat and bones feel this destruction, this fear, this sadness. It plays with our minds because oftentimes when we are empathing the elemental kingdom, we don’t realize it, so our logical brain must find something to be sad about—and by the end of the day, the week or the month, we WILL create a tangible reason to be sad that plays out in our lives, bodies or relationships. Each generation that comes into existence holds more light in their DNA, and light is knowledge. This is the reason we’re finding that more and more young people feel the need to have a plant-based diet because they’re more connected to their body and literally CANNOT ingest this fear. When people are disconnected from the second dimension, they feel an emotional sadness, a general sense of separateness, and a longing to move or relocate. This is just a short list. You can refer to the Ascension Symptoms post for more information. Read a book, watch a movie to spark your imagination: Some of the best ways to get this energy moving is to get books, oracle cards, movies, or just about anything that depict the elements visually, verbally or mentally. When I first started connecting to this realm, I purchased almost everything I could find on Faeries (Doreen Virtue has a ton of stuff on this as does Brian Froud). Doreen’s are much more light-hearted and Brian’s are more of the Earthen-Faeries—inner Earth, good and bad as he calls them. I played with Oracle cards (still do!) and surrounded myself with anything that I could to immerse myself into this magical world. I did the same with the gnomes and the sprites, as I read books like Mists of Avalon to embrace the energies of this realm. I watched movies like the Lord of the Rings (only like the faerie part—not the wars ☹ ) so that I could allow my body to remember this magic. Faerie or Gnome Hunt: A fun thing we do at our cabin in Northern MN is “Faerie-Hunt” at night in the woods. It’s best to have good moonlight and refrain from other light sources if possible. We take a good camera and go deep into the tall ferns to look for the faeries hiding deep within the base of the greens. They look like a “firefly” tiny orb, however they are usually colored purple or pink and move differently and do not blink like the firefly. Try your best to catch them on film, but you must have patience. A Gnome hunt is similar, but the feel of the forest is different, they feel sneakier, more like a little stinker energy—a bit cunning but still fun…. Find the DEVA stored within the element: Pick up and hold a rock and really look at it. Hug a tree. Stare off into the woods. Concentrate on the ferns while you walk along a path. You can find faces in shrubs, flowers, rocks and trees. This works in the water and the skies too. This is very real and can have amazing results if you learn to focus with “soft-eyes” and have a ton of patience and use your creativity. ALLOW yourself to see what is within the element, allow the face, the energy to rise forth. The mountains are amazing and have a ton of faces as well. Feel it, BE it: Sit at the base of the tree and BEcome the root system and/or the trunk. You can do this on a rock, in the water and just about anywhere if you practice. The vibrations and connections can be soft and subtle, so be aware of your own body to connect. It is fun, too, to see how many different trees (or rocks, or feathers, …whatever) you can touch to compare the difference in their vibrations. Collect and use the tools from the kingdom: Collect rocks, feathers, shells, bark, and anything that you are drawn to in nature. Remember the DEVA or the force is there to help within the tool. Learn to work with these tools that call to you as they can assist you in replenishing your own energy fields or help you to remove negative energies that you no longer want/need. If you have a special tool, consider wrapping it in either a cloth or container to keep the individual deva energy within that specific element, and only take it out when it is to be used as a healing tool. Also, if you have a tool that is very special, keep it to yourself for the work and do not have others use or touch it, as their energies will throw off your unique combined vibration. There is no real rule on how to use any tool—trust your inner voice to guide you. Keep trying if you get little or no guidance, as sometimes it just takes time to connect. First, it’s important that you know and trust your OWN field of energy—your own auric bubble, so that you are then able to discern the energies outside of that bubble. Use the Ground and Bubble Technique found on my site to train your auric bubble to be in good shape. Plus, it’s good for protection from any unwanted energies. Spend time in nature to train your third-eye and body to connect to the fields that surround trees, plants, rocks, etc. The look can be like seeing the heat rise off the hot pavement, the wiggling streams of energy rising, or an outline of a brighter light color, sometimes white or yellow. The sensation of the energy-field can feel like walking through a fine spider web while in the forest, woods or field. 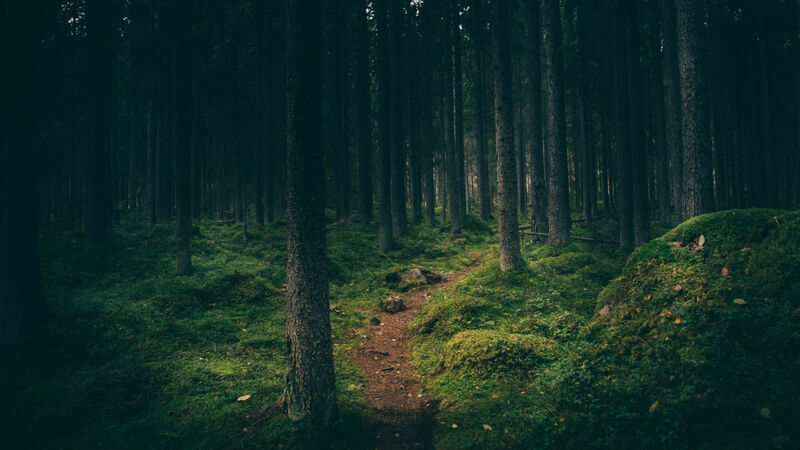 Practice by staring with soft-eyes into the depths of the forest and allow yourself to connect with the faerie realm with intention and see if you can imagine the hobbit homes and the tiny paths throughout the area coming to life. You can also simply walk along with intent, walk in presence, to see what your body “knows” about the area…you might know, see, hear, sense information and keep practicing! Allow yourself the possibility to telepathy connect with animals—listen to their chatter, ask them questions in your mind and allow yourself to possibly get an answer! Practice with your pet—see if you can send commands via your mind. Try to see if you can invoke an eagle or a bird to come upon your command. Use your hands to connect to the energy field of a pet to sense what their body reveals to you. Notice where your hands are led and ask why. Learn to trust your inner guidance with patience and practice. Allow yourself to be fully childlike and create a conversation or imaginary connection to the mystical animal kingdom of unicorns, dragons and more…. see what happens as you embrace their humor and joy! Do some homework on Animal Totems and Animal Spirit Guides and see what you can find out about these magical beings in terms of additional love and support. There are numerous websites, books and meditations specifically for this purpose. Participate in a Shamanic Journey or totem meditation to find how to connect and communicate with your Animal Totems, then, if and when you find them, use them for protection, advice and friendship. These are just some tips and tactics for you to consider for this second dimension, and as we continue to unpack this journey of ascension, we’ll explore more concepts for each dimension. The magic of working with the Elemental Kingdom is all about your individual imagination! Be courageous in co-creating. Do ritual. Celebrate your uniqueness. Find joy in the silliness of it all and by all means, LAUGH! If you have thoughts or advice for how to connect to the elemental kingdom, plants, and animals, please share in the comments below! Hi back MOM 🙂 WOWIE…you actually figured out how to POST! Nice work. Now that you know how to get on line – feel free to write more as all the folks that read this will gain from your knowledge, comments and input! I’m all about finding ways to connect with the magical energies in the world around us. Life can be very magical if we choose to see it! We so need this lesson right now. Thanks, Suzanne! I have found that using the bubble protection daily helps me get through my day with peace and non-judgmental thinking. I commute 35-miles (each way) on the busiest highway in town to work every day. I can feel the difference in my own attitude when I am protected cruising down the road. I work with adults living with severe and persistent mental illness. The energy in this environment is very unpredictable and can sometimes be dangerous or sad. When I ‘bubble-up’ my protection I, don’t leave work carrying any of this extreme, emotional energy with me. I know this to be true as I experience this ‘presently’ every day, and I am thankful for the tool and the protection. I too bubble myself before going to work – right after grounding myself and before starting my drive. I bubble me, my car, the cars around me, and my cubicle at work. On the days I need extra bubbling I may put a picture of bubbles on my computer, or add sparkles to my bubble! I am so grateful to have learned this technique. I also try to look for and be open for magic every day. It’s amazing what I’ve seen when I consciously do that! Amazing and fun. Love this Suzanne. Can’t wait to get out and look for fairies and gnomes!